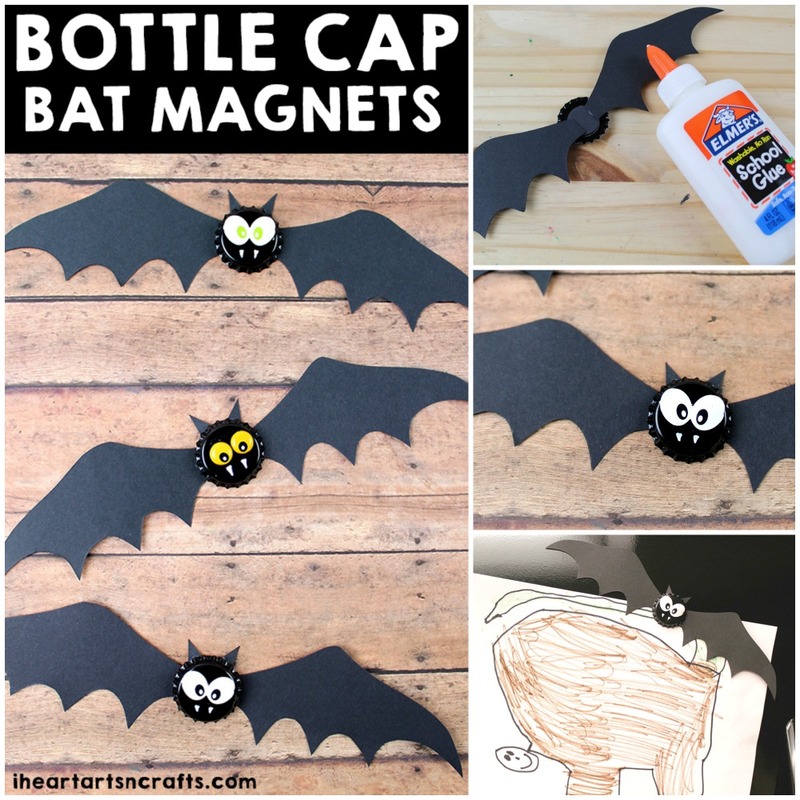 Make your own Bat Bottle Cap Magnets with this simple Halloween craft for kids! 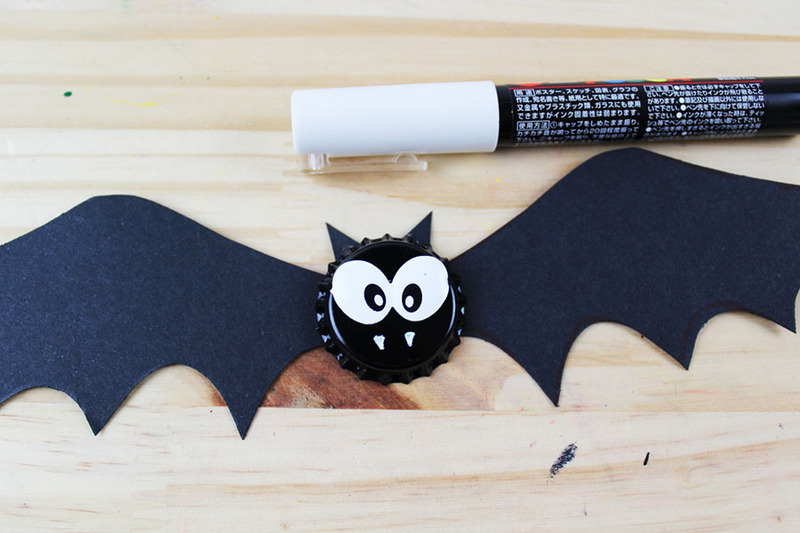 Upcycle some bottle caps to display your child’s favorite Halloween art on the fridge! 1. 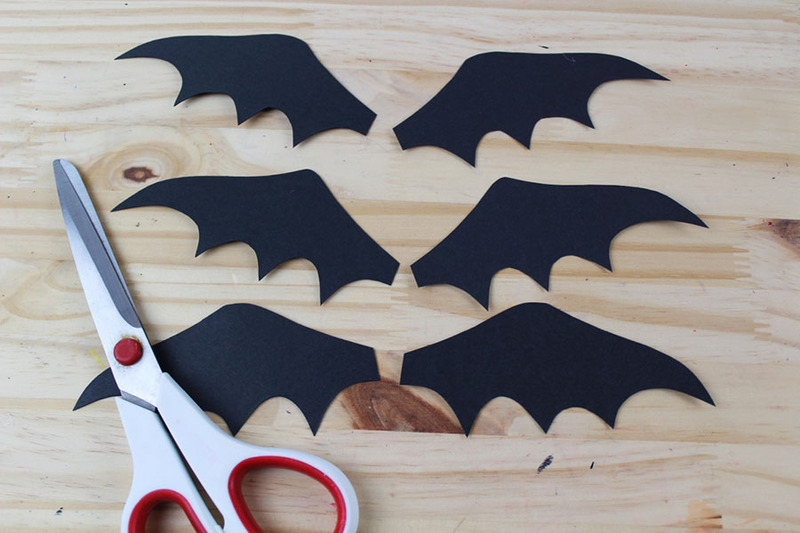 Print the bat wing template, cut out and Trace onto black cardstock. 2. Cut the bat wings out. 3. 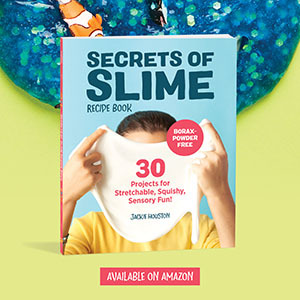 Glue a magnet on the back of the bottle cap. 4. 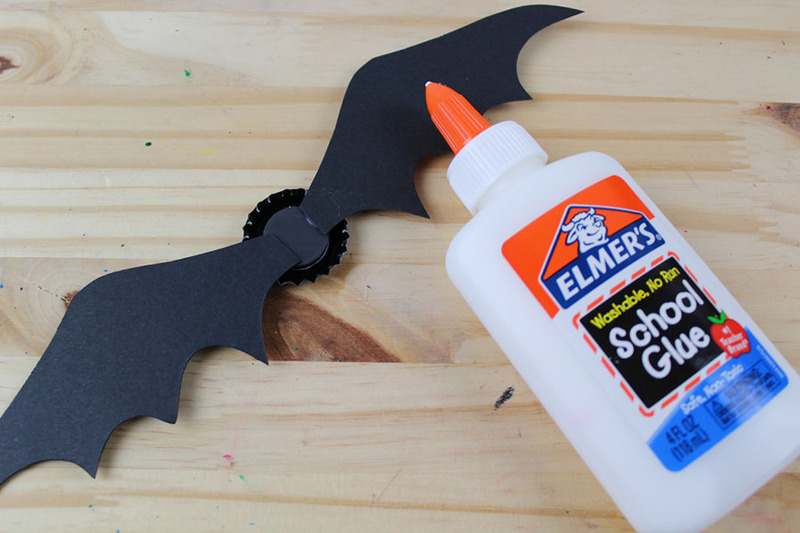 Glue the bat wings on the edge of each side of the magnet. 6. Glue the metal eyes onto the front of the bottle cap. 7. Cut small triangles from black cardstock and glue on the back of the bottle cap. 8. Use a white paint marker to draw on fangs. 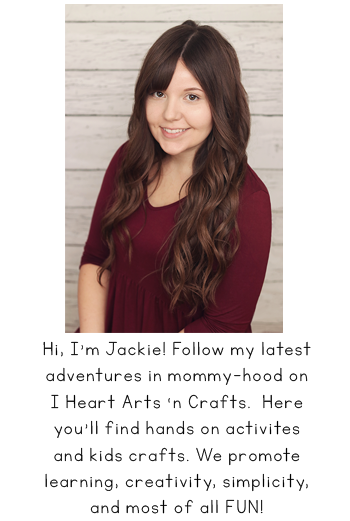 Your magnet is ready to display your child’s favorite Halloween art on the fridge!